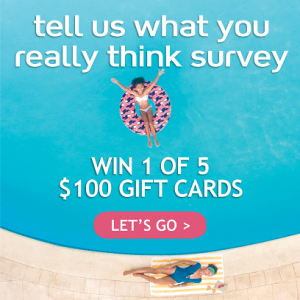 Club Med would like to congratulate the five lucky Travel Agents, each winning a $100 voucher for completing Club Med’s annual ‘Tell us what you really think’ Travel Agent Survey. A total of 1190 Australian and New Zealand Travel Agents completed the survey within the month long survey period, a whopping increase of 253% increase in respondents versus the same time last year. From the survey, Club Med are proud to say that 95% think that all-inclusive is the best feature of Club Med Resorts, 72% that activities is the best feature and 70% the Kids club. Bali, Maldives & Bintan Island are the first resorts that travel agents think of when they think of when they think of Club Med and Interest in ski holidays is up +20% versus last year and more agents are aware that Club Med offer ski holidays. Also interestingly, 76% of Travel Agent respondents consider sustainability has a strong importance in their clients holiday decision making process and 82% agree that Club Med’s involvement in sustainable initiatives is very good. For those interested in ski or sun resort holidays in 2020 with Club Med, Travel Agents can pre-register their clients interest at http://bookearly-clubmed.com/, to ensure that their clients get the best offer guaranteed when sales open on the 30th January 2019.